New construction homes often already reap the benefits of lower home insurance costs; however, some Gainesville home builders have taken the extra step to be approved by insurance companies to receive even lower discounted rates. Some insurance companies offer programs specifically designed for residential builders. These types of programs are at no cost to the homeowner and there is no added benefit to insurance agents for offering these types of policies. You as the homeowner benefit from lower annual home insurance rates and receive the same type of coverage. These programs leverage the relationships between the builders and the insurance companies, and in turn benefit the homeowners. Jeffrey M. Wilde, Builder, Inc.
Why insure my home through a Preferred Builder Program? 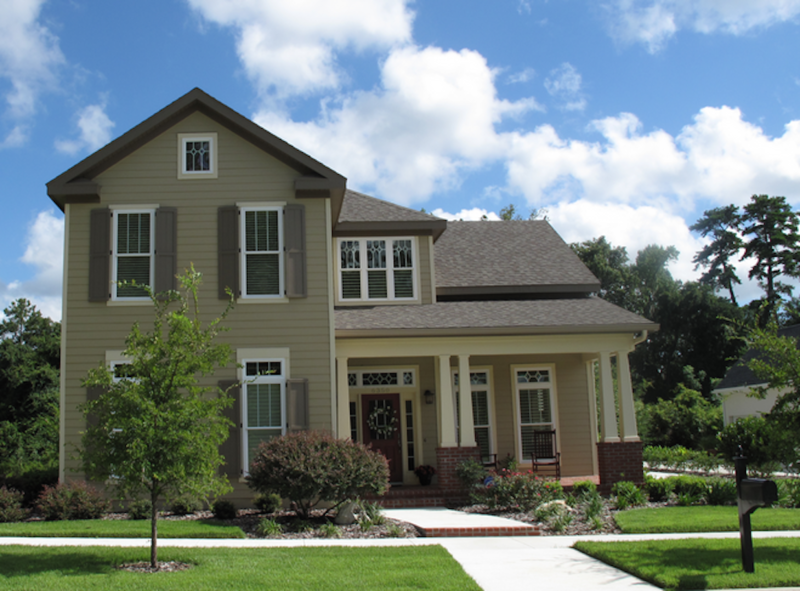 Let’s assume you are building a new home in Gainesville, Florida. Other homes that have already been standing likely already have higher insurance costs simply due to age (i.e. year built). New construction homes are held to the most up to date building codes, and as a result insurance companies assume they are built soundly, will have less issues in the near future and will sell homeowners insurance coverage to the owners for a lower premium. Now, lets assume you are building a new home in Gainesville, Florida and are using one of the home builders listed above that has already applied and been approved for the Preferred Builders Program. Not only will your rates be low because your home is new, but they will be even lower because of the relationship between the home builder and the insurance company — Save money and receive the same coverage. Some of the companies that participate in new construction discount programs, such as the Preferred Builder Program, include ASI (American Strategic Insurance) and Tower Hill. More information about the ASI Preferred Builder Program can be found on their website.